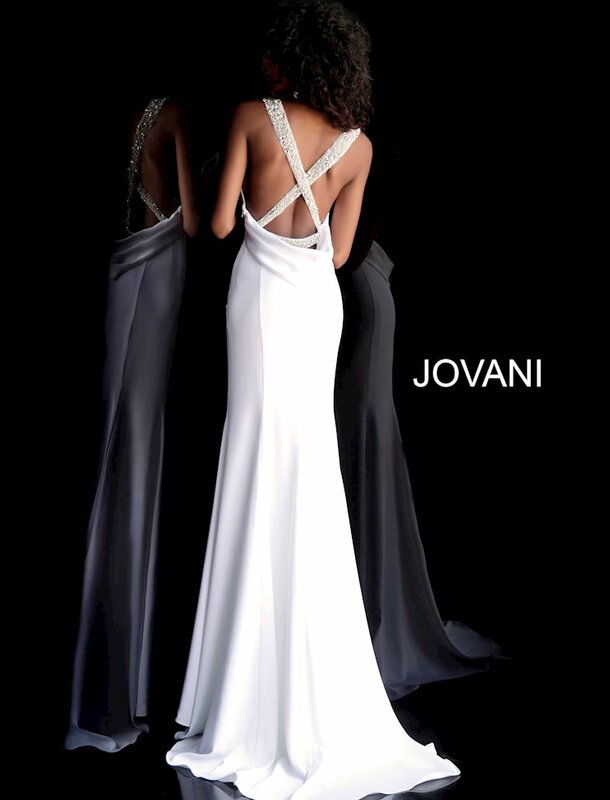 Prom 2019 Jovani dress 66089 creates the look of an elegantly wrapped silhouette fitted with an inset, plunging V-neckline trimmed with sparkles beginning at the shoulder crisscrossing across a strapped back. A floor length, trumpet style skirt lightly flares ending in a graceful, short train. Keep every eye moving upward toward your smile in Blush, Royal or White.